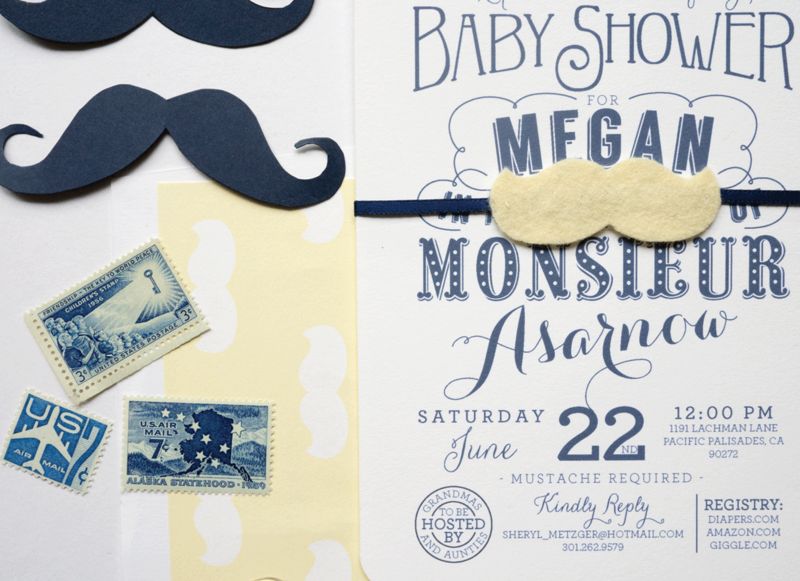 I mustache you a question... Do you like this baby shower invitation? 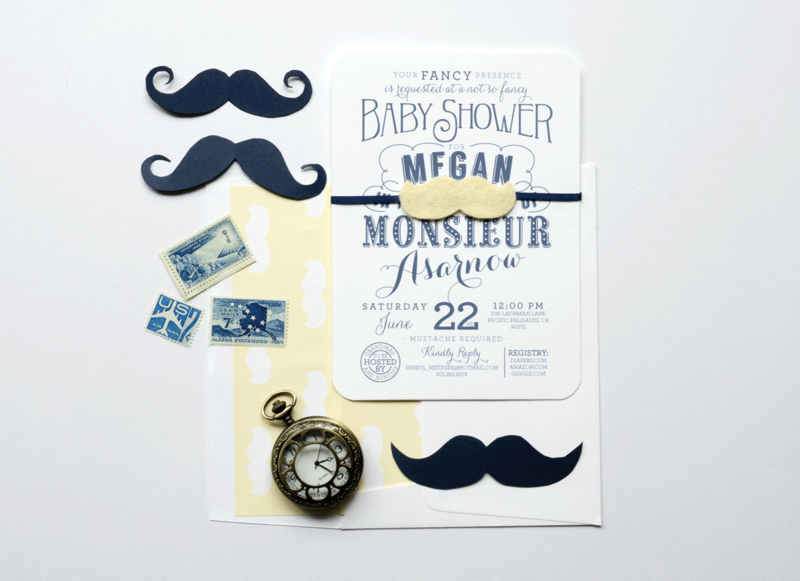 Mixed fonts and playful wording were the focus of the invitation for this French themed baby shower. Flat printed on cotton card stock. 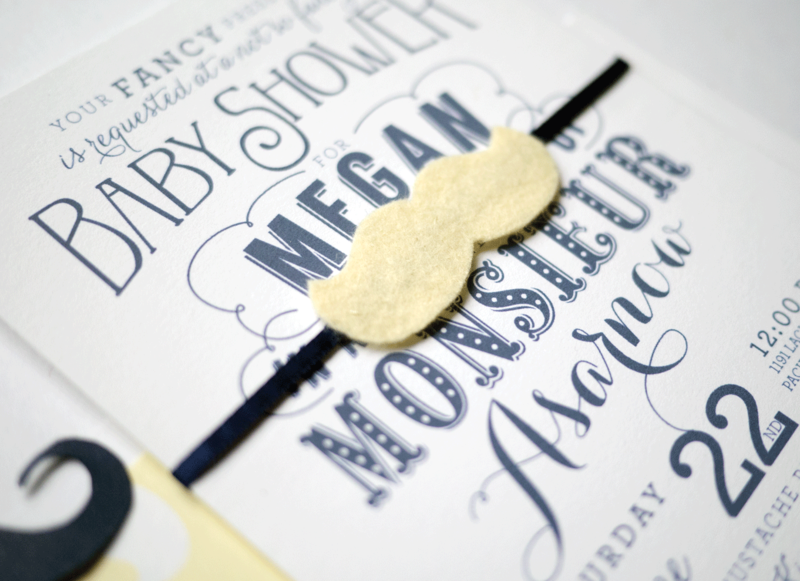 Suite included an invitation tied with a felt mustache and envelope with custom printed liner.